Want to Get Rid of Bill Collectors? Follow These 5 Steps (Pt. 2) - Castle Rock Bankruptcy Attorney - Jon B. Clarke, P.C. Continuing from Want to Get Rid of Bill Collectors? Follow These 5 Steps (Pt. 1), below, we will continue our discussion of what borrowers can do to stop creditors and bill collectors from calling them and/or sending them letters when they have missed debt payments. 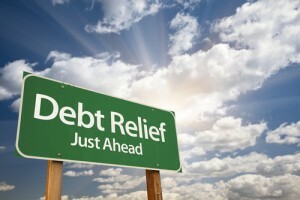 If you have already tried these options and/or are ready to take more aggressive steps towards resolving serious debt, it’s time to meet with Denver Bankruptcy Lawyer Jon B. Clarke for a thorough case evaluation, as well as professional advice regarding your best options for debt relief. When bill collectors are unwilling to work out settlement deals, contact Colorado Bankruptcy Lawyer Jon B. Clarke to learn about your options for debt relief. Step 3: Send a certified letter to request that bill collectors stop contacting you. Not stop contact if the bill collectors decide to sue borrowers (or take other legal action – like wage garnishments – against them). Step 4: Try to work out a deal with creditors. In some cases, it may be possible for borrowers to negotiate a settlement deal with bill collectors, particularly if not a lot of time has passed since the missed payment. In fact, bill collectors will generally be more likely to work out deals with borrowers when borrowers are upfront about their situations and don’t wait weeks or even months before contacting collectors about possible payment options. When contacting bill collectors to try to negotiate a payment option, consider offering to pay a fraction of the debt within 30 days (if possible) or offer a payment plan that you can realistically carry out. Step 5: Consider filing for bankruptcy. If bill collectors are unwilling to work out deals or settlements regarding your debt, then it may be time to considering filing for bankruptcy. While bankruptcy can help you get some of your outstanding debts discharged, from the moment you file, it can also effectively get bill collectors to stop contacting you altogether, as an automatic stay goes into effect. Any legal actions they may be taking against borrowers (like, for instance, wage garnishments, repossessions and foreclosures).